Striped Hog-Nosed Skunk seems to be a common resident. The cameras are still preforming well and we are learning about the animals every visit. Thanks to all who have contributed and supported us with encouragement and financially. A special shout out to those who have cared for and fed our pets when we're out of the country for extended periods of time. The above video is common opossum. Her pouch is loaded with young possums. Once they are too big for her pouch, they will ride on her back. Opossums were not the only ones who had young during the January-June period. The below image came through one of the wireless cameras. That is a Jaguarundi and her kitten. 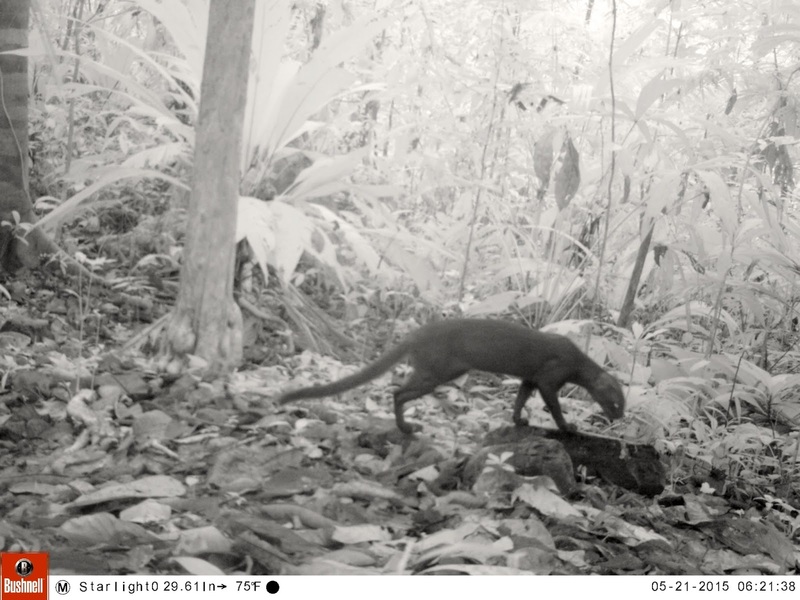 These are the first images of young jaguarundi that the cameras have recorded. 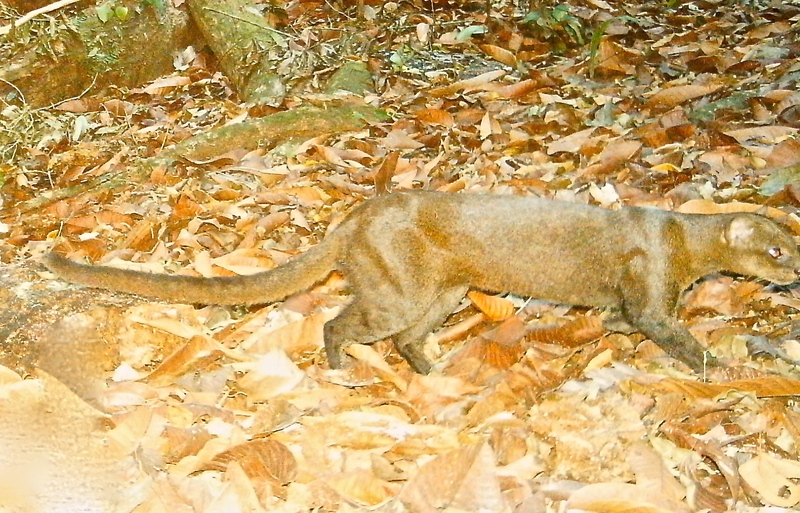 We got several other Jaguarundi images as well. The Coatis also were with young. In this video, you can see the clan of females and juveniles. Adult male Coatis are solo. While we saw no evidence of offspring, you have to wonder how this trio of Tayras paired off on Valentine's day. To further the Tayra mystery, we suspect this ritual is related to scent marking, but it was pretty funny to see how it all went down. We have no idea if any of the ocelots are related, but we suspect that they are. Finally, we get to the monkeys. The Capuchins were very active on nearly all cameras. One camera in particular caught something quite interesting. It shows capuchins actually feeding with coatis. The unusual thing is that adult capuchins will capture and eat young coatis, but this clan and troop seem to get along really well. One of the male monkeys even flashes the camera before he spins it away from himself. Remember that you can follow the wireless cameras on your iPhone with the INSTANT WILD APP from the Apple App Store...it is free! Remember to visit OCHO VERDE YOUTUBE PAGE for more videos and Follow @OchoVerde on Twitter. If you would like to support our project to help with expensive lithium batteries, camera upgrades, data plans, etc, please use the secure PAYPAL button below. Thank You!